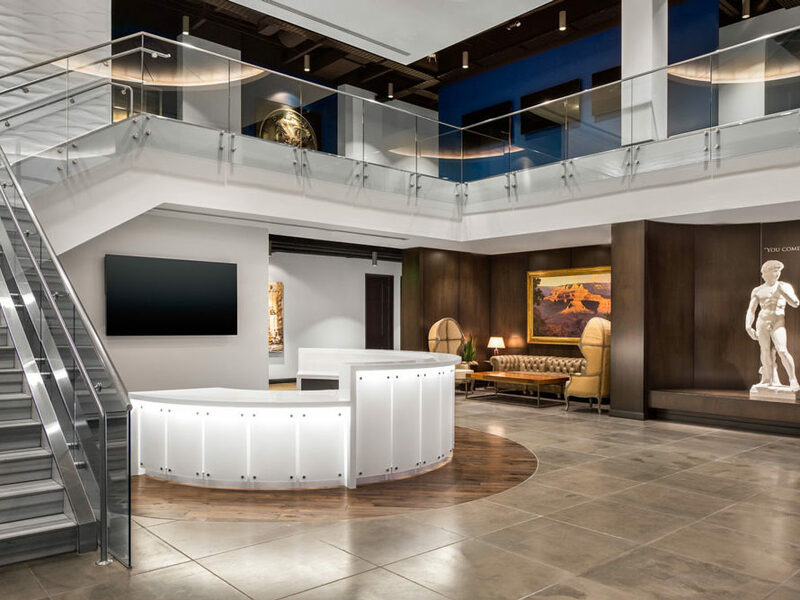 Matson Money – Glass with stainless steel puck system. 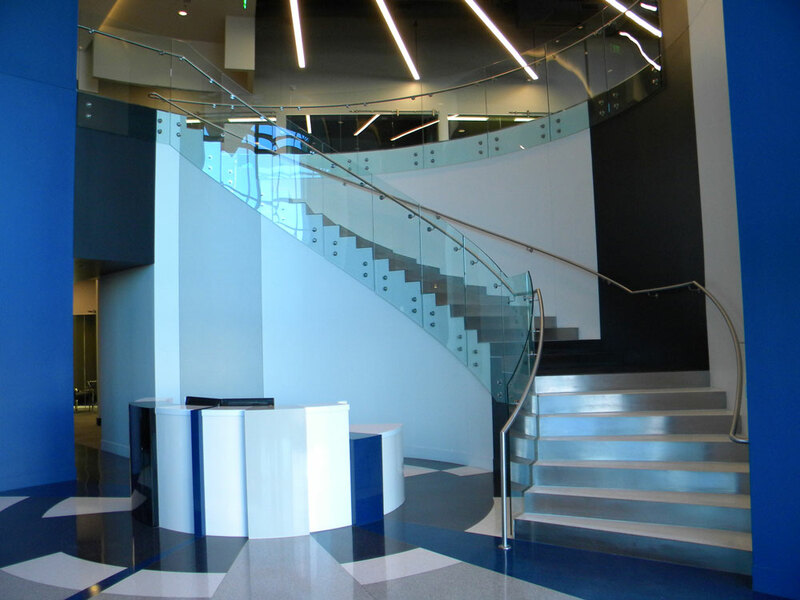 AvAir – Radius glass, stainless steel puck system, and risers. 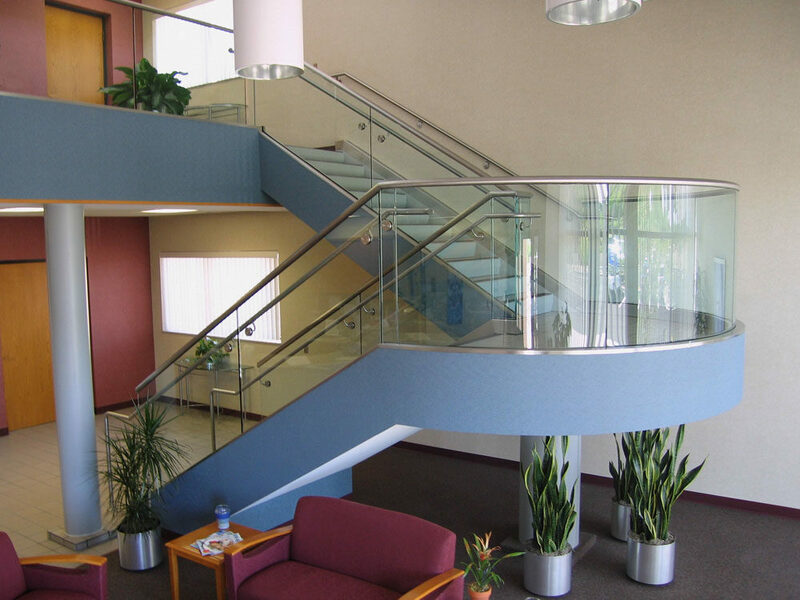 Chandler 101 – Glass with stainless steel puck system and cladding. 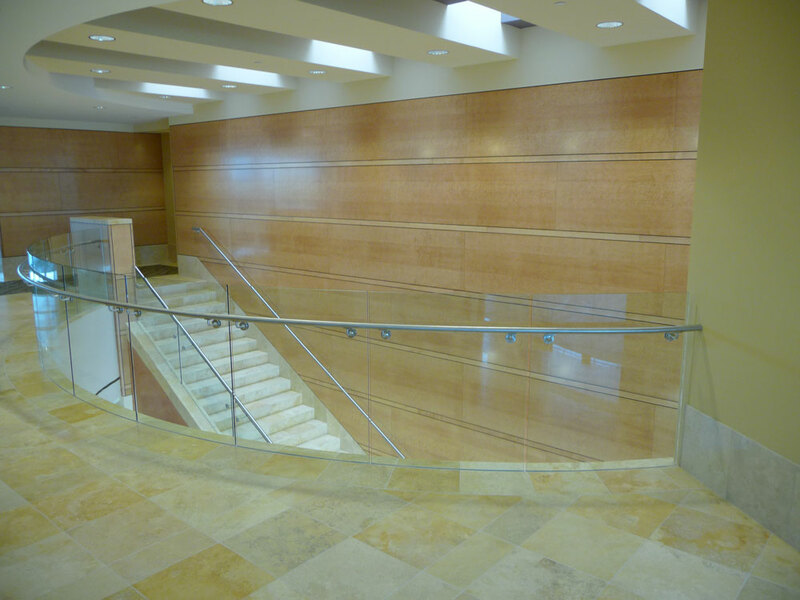 827 Grove – Glass with stainless steel post. 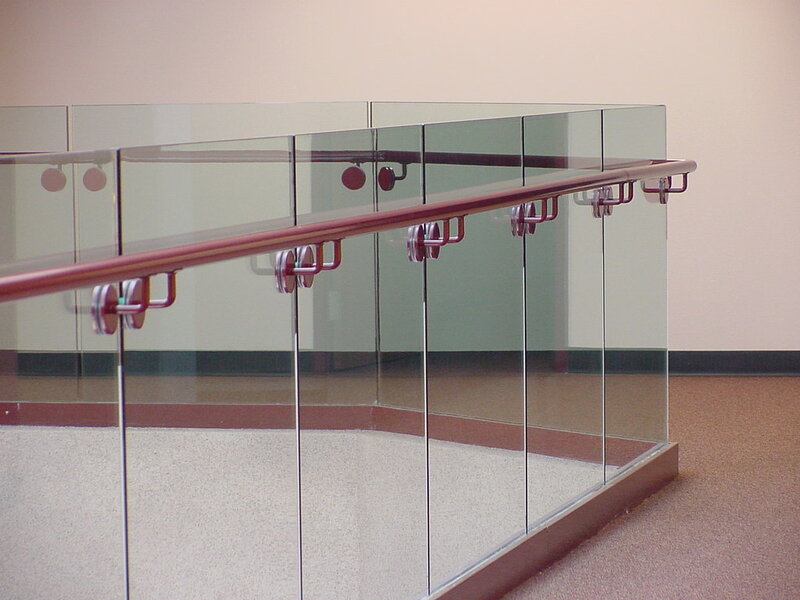 QBE – Glass with stainless steel puck system. 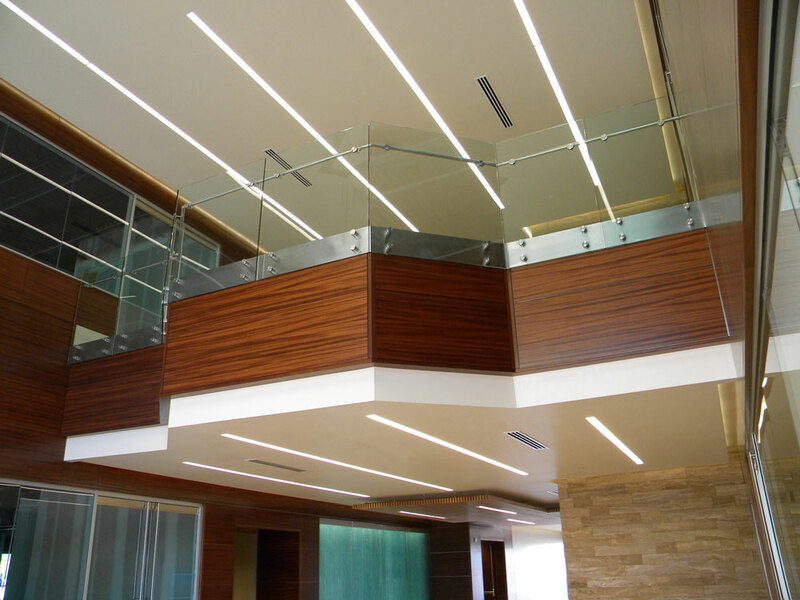 Stainless steel and wood handrail. 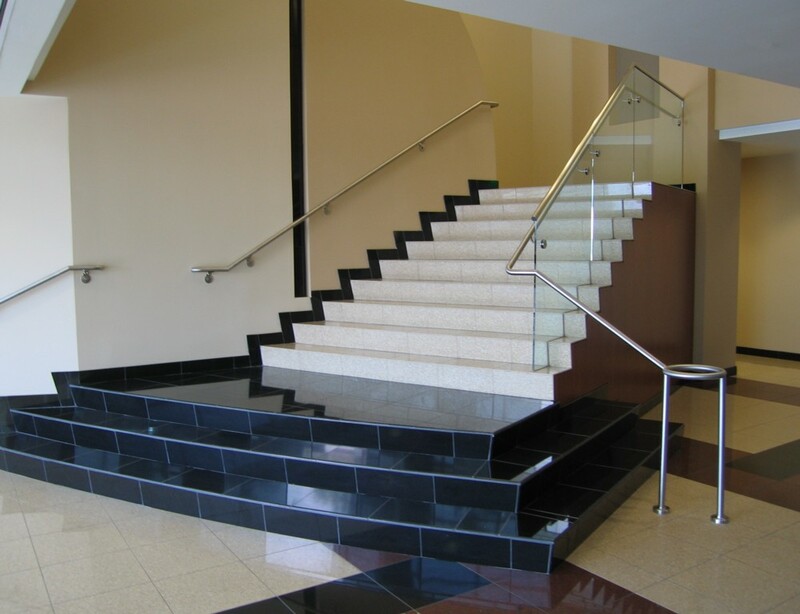 Ak Chin – Glass in shoe, cladding, and lighted handrail. 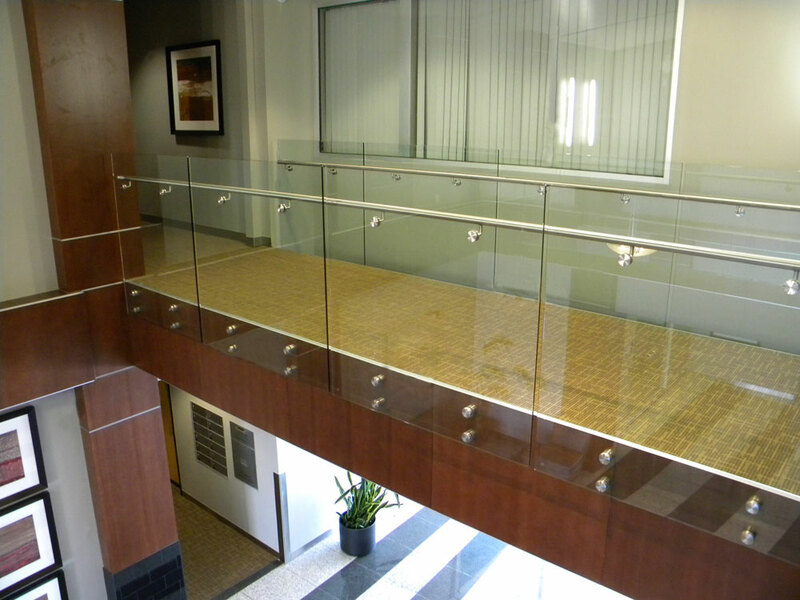 Southbank Corporate Center – Glass with stainless steel puck system and handrail. 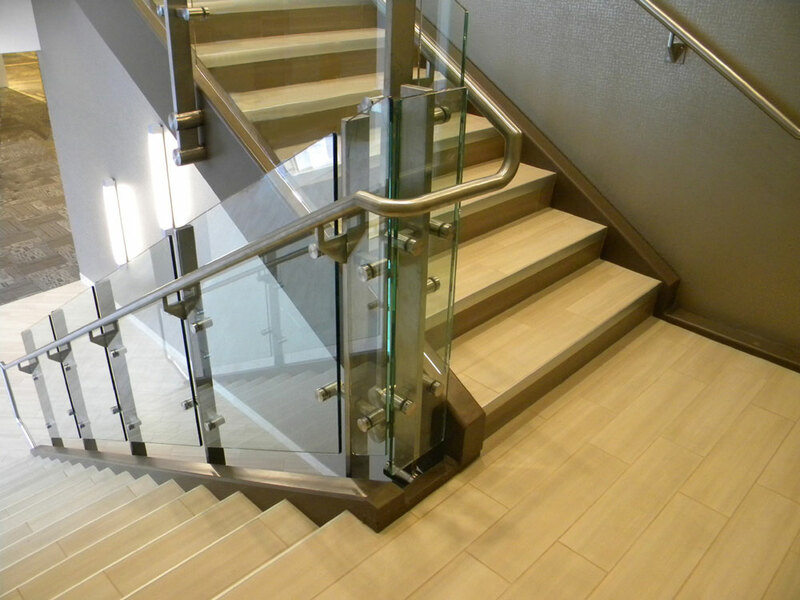 Allred Park Place – Radius glass in custom shoe with Stainless steel handrail. 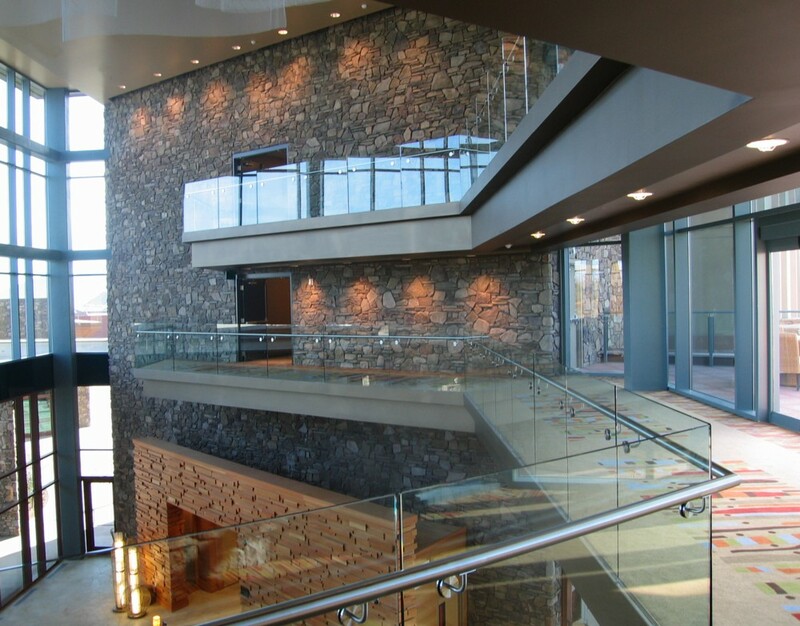 Phoenix Children’s Museum – Glass with stainless steel puck system. 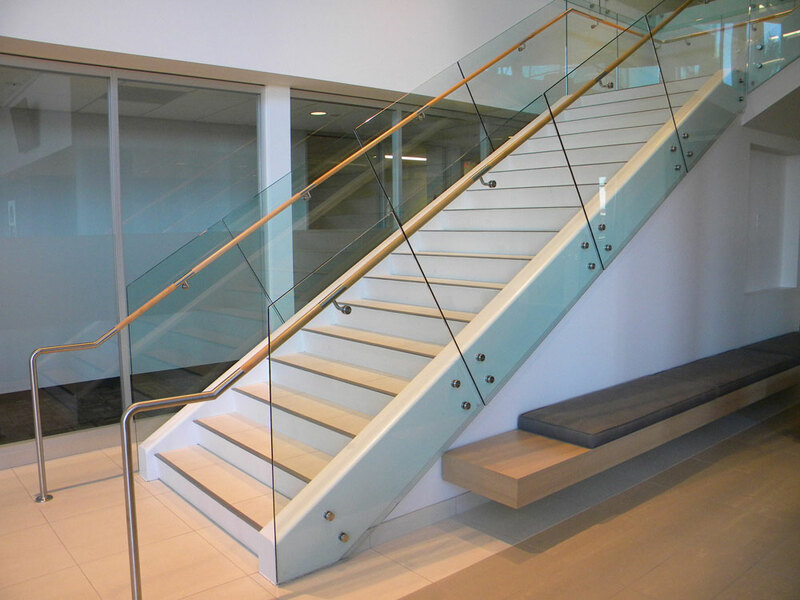 Chandler Water Treatment Center – Radius glass and shoe with stainless steel handrail and cap rail. 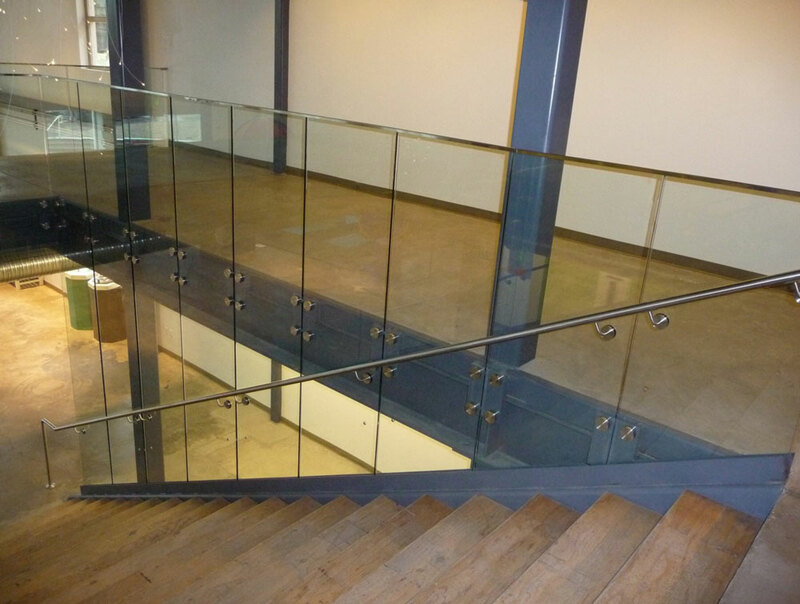 Union Hills Office Park – Glass in shoe with stainless steel handrail. 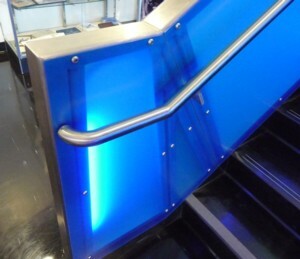 Scottsdale Arts – Glass in shoe with stainless steel handrail. 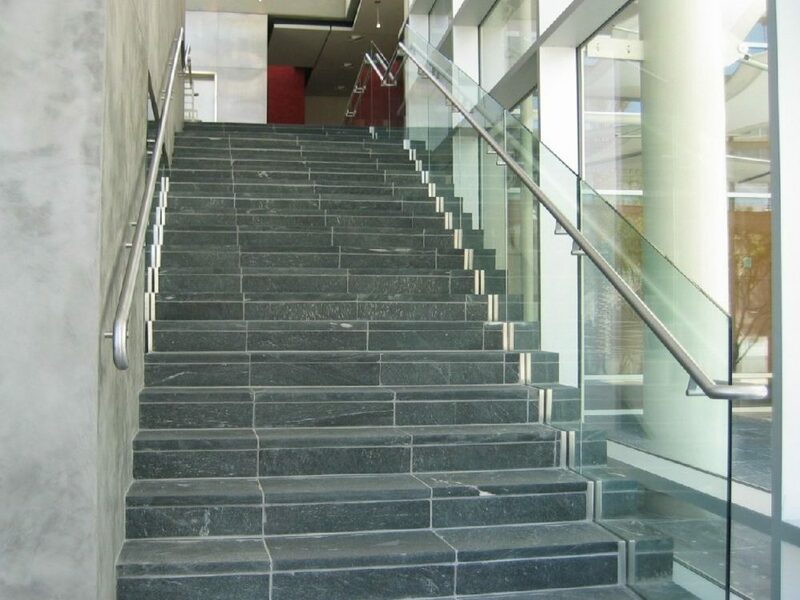 Mesa Arts Center – Glass in shoe with stainless steel handrail and trim. 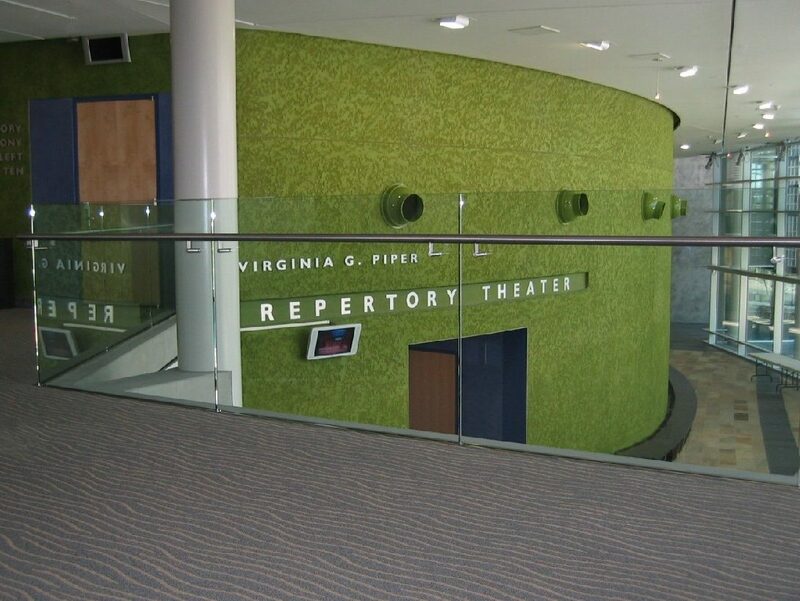 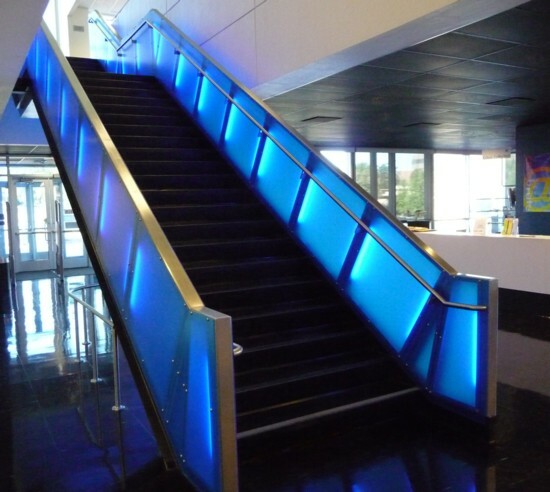 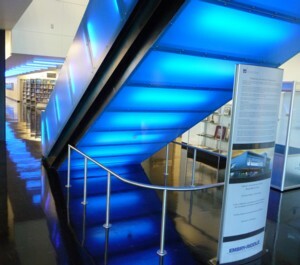 USAA – Segmented glass with stainless steel puck system and handrail. 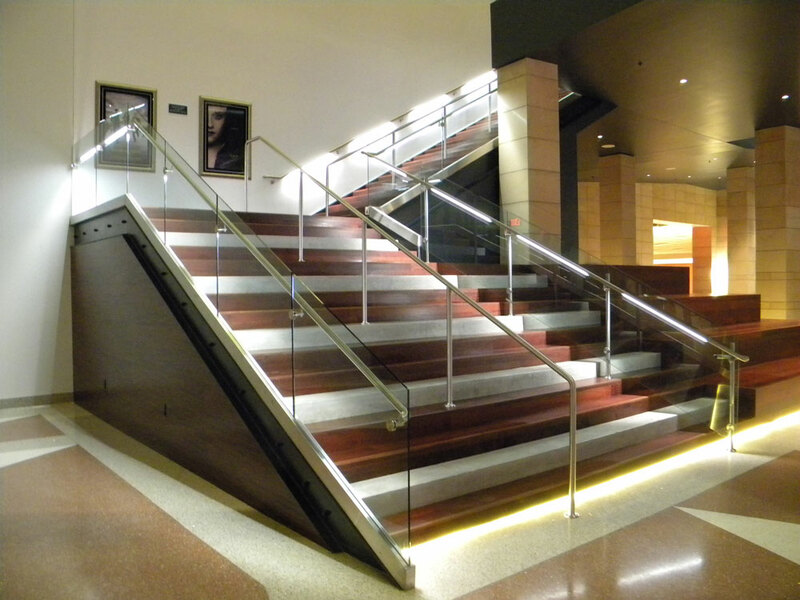 ASU Stadium – Glass with painted steel handrail and shoe cladding. 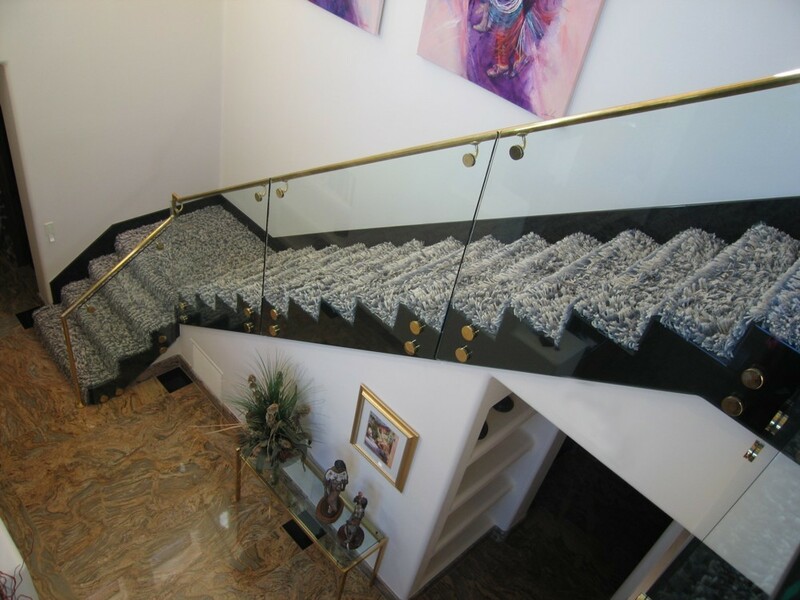 Private Residence – Glass with brass puck system and handrail. 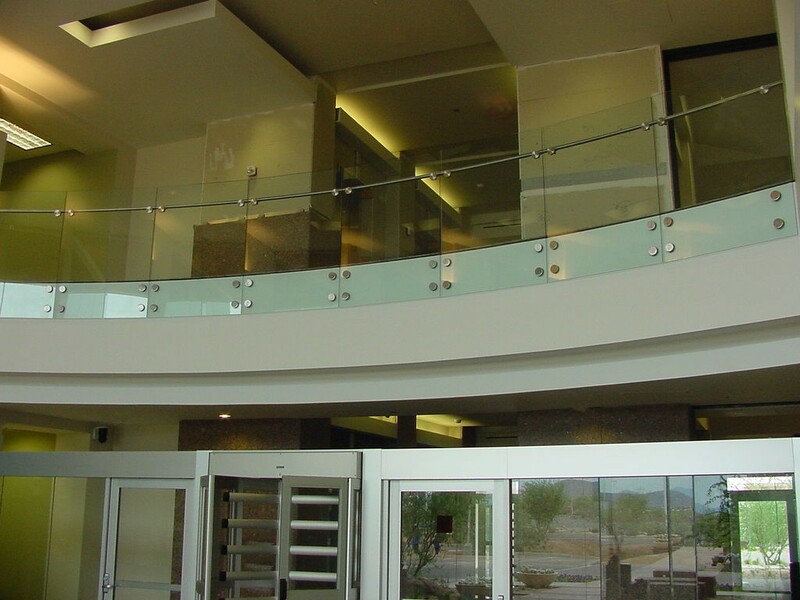 Radisson at Fort McDowell – Glass in shoe with stainless steel handrail.